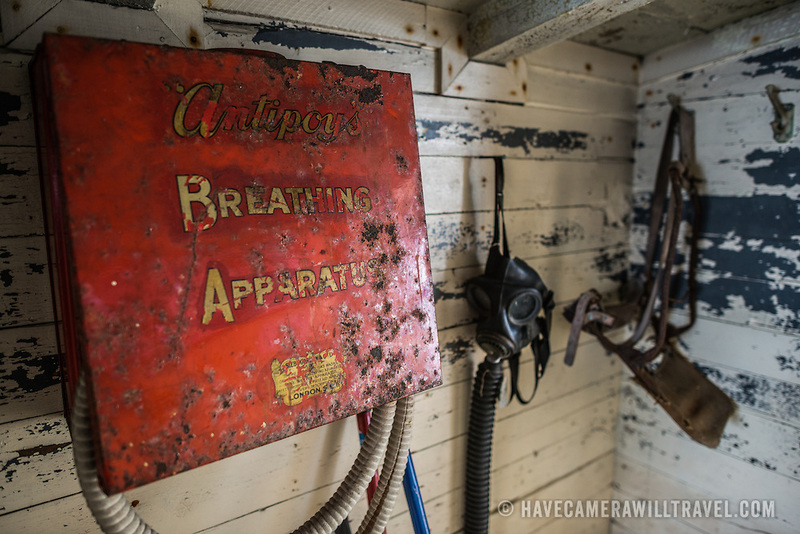 Old safety and firefighting equipment hangs on a wall near an exit at Wordie House. Originally known as Base F and later renamed after James Wordie, chief scientist on Ernest Shackleton's major Antarctic expedition, Wordie House dates to the mid-1940s. It was one of a handful of bases built by the British as part of a secret World War II mission codenamed Operation Tabarin. The house is preserved intact and stands near Vernadsky Research Base in the Argentine Islands in Antarctica.